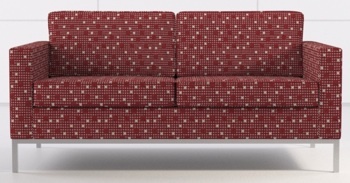 Carnegie Whirlybird Wool Blend Modern Retro Upholstery Fabric - Buy by the Yard - Free Shipping! Buy by the Yard! Free Shipping! 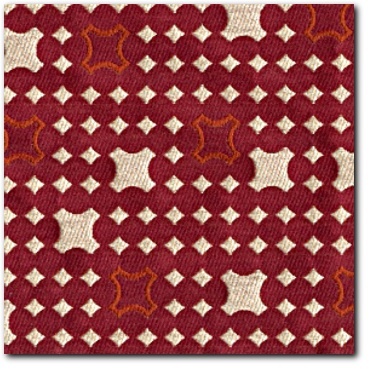 $16.99/yd (5 yd minimum) - Free Shipping! This lot is a Buy -by-the-yard offer for "Whirlybird" a Wool blend fabric by Carnegie Textiles Studio in the "8" colorway. Simple and graphic, the object shows a positive and negative image, almost suggesting flight. Colors are Red, White and Orange Highlights. You could pay $63.00 a yard at carnegiefabrics.com but why??? As always, we offer a premium fabric to our buyers for much less!